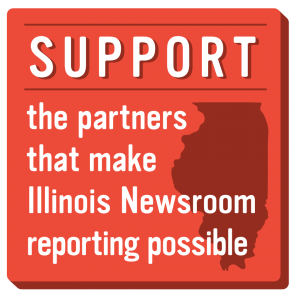 Illinois Newsroom is a regional journalism collaboration focused on expanding access to trusted, timely and relevant information across three key statewide topics: Education, Political Impact and Health/Environment. Our team of journalists report on the issues that affect the diverse residents of Illinois with the goals of holding public officials accountable; fostering greater understanding of our state and region; and exploring the many ways people are working together to strengthen their communities. Through online and in-person conversations and events, Illinois Newsroom invites the audiences we serve into the editorial process, connecting and empowering communities across the state.